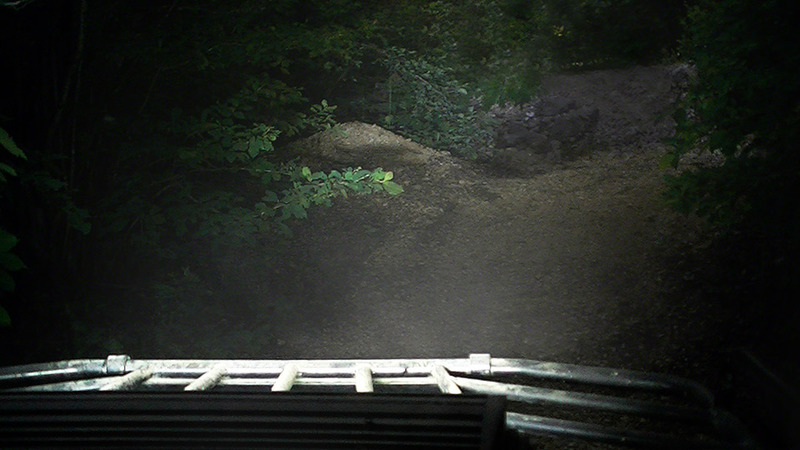 Photo Gallery How To Install All Included Hardware On Curved Series LED Off Road Lightbars. 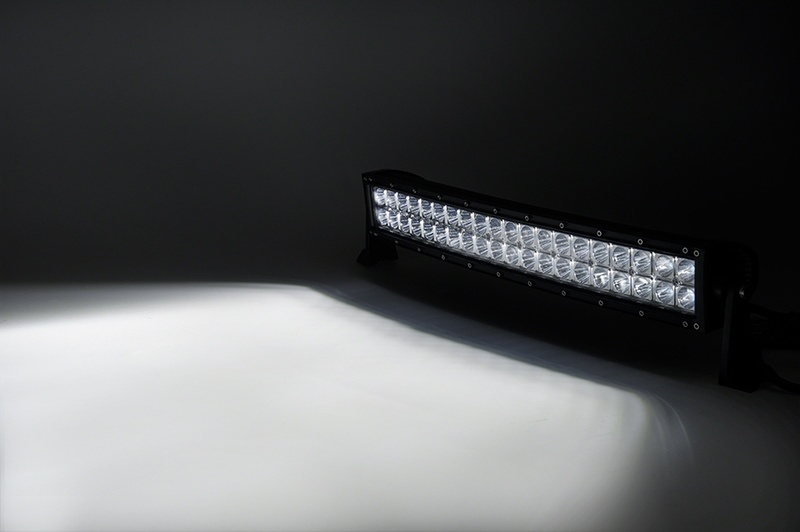 This LED light bar is great for off-road driving lights, daytime running lights, or fog lights on your truck, ATV, or UTV and can also be used for industrial lighting, marine lighting, and tractor lighting. 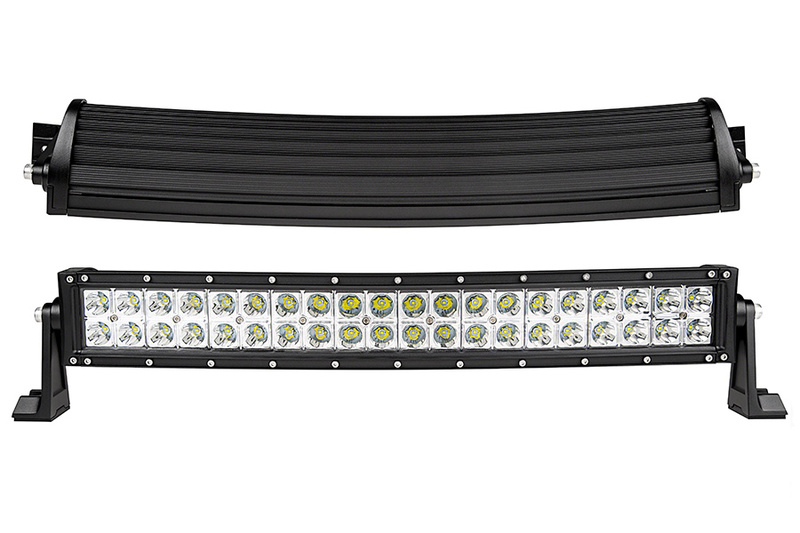 The 20" curved LED light bar mimics the contour of windshields and front bumpers. 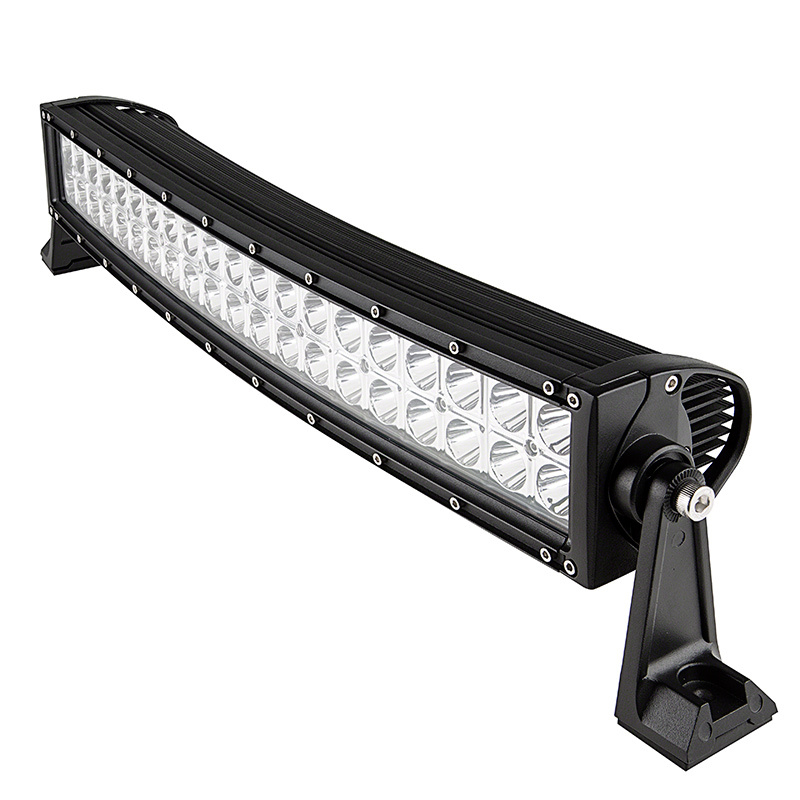 It has a dual-row LED design and an output of 9,600 raw lumens of cool white light. 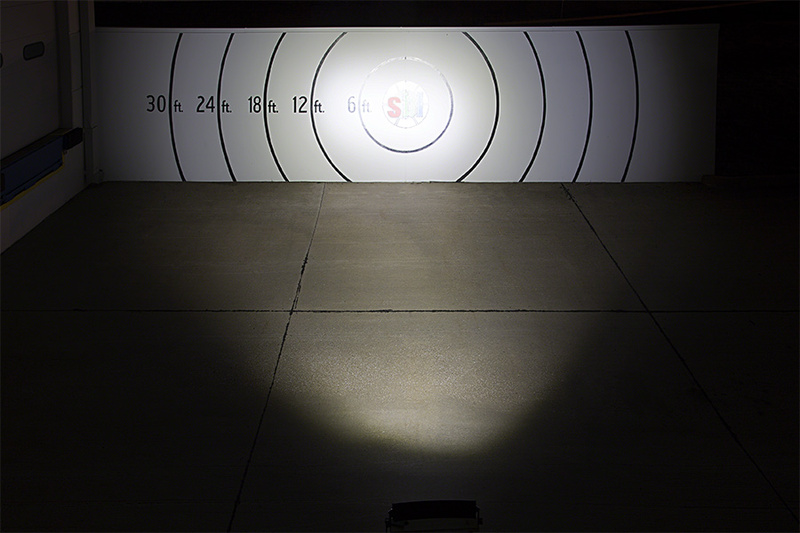 LEDs emit a narrow 8° beam pattern. 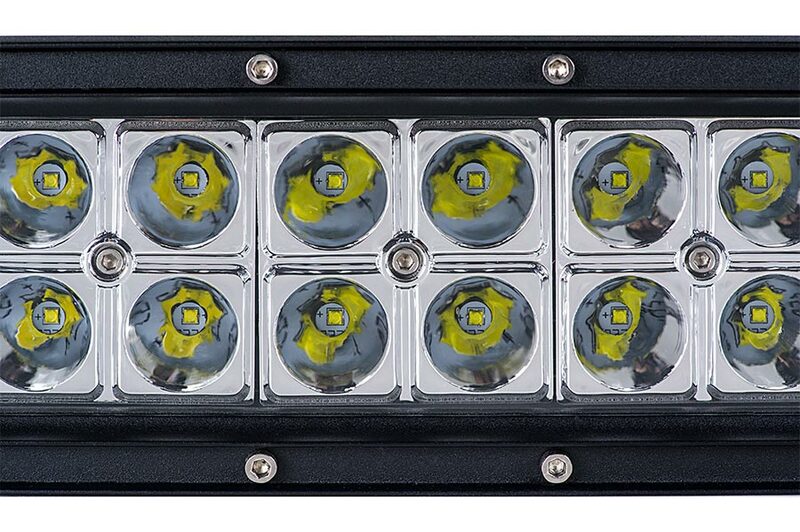 The durable LED work light is waterproof and shock resistant. 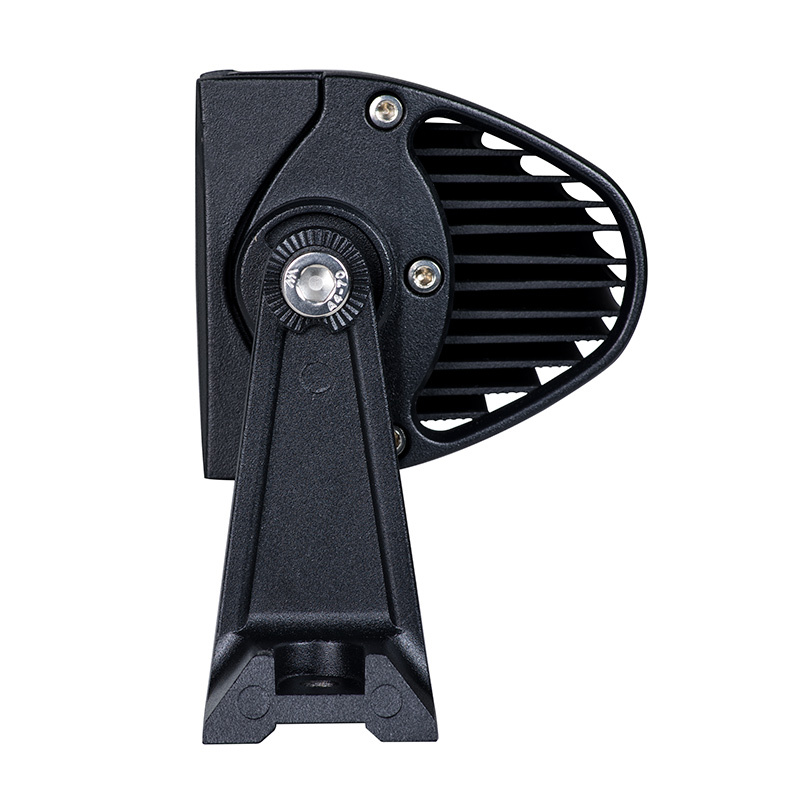 A powder coated aluminum housing and polycarbonate lens protect internal components, and the housing has an integral LED-cooling heat sink. 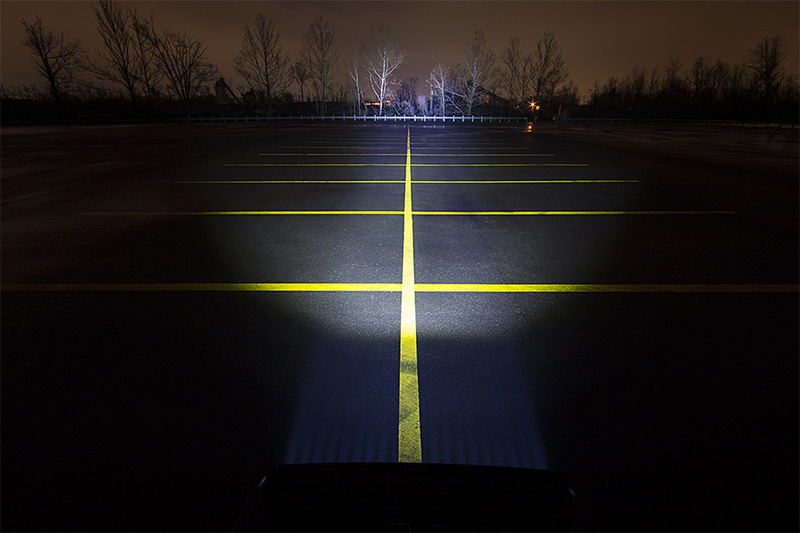 The LED work light consumes just 100 watts of power and operates within a wide 10-30 VDC range. 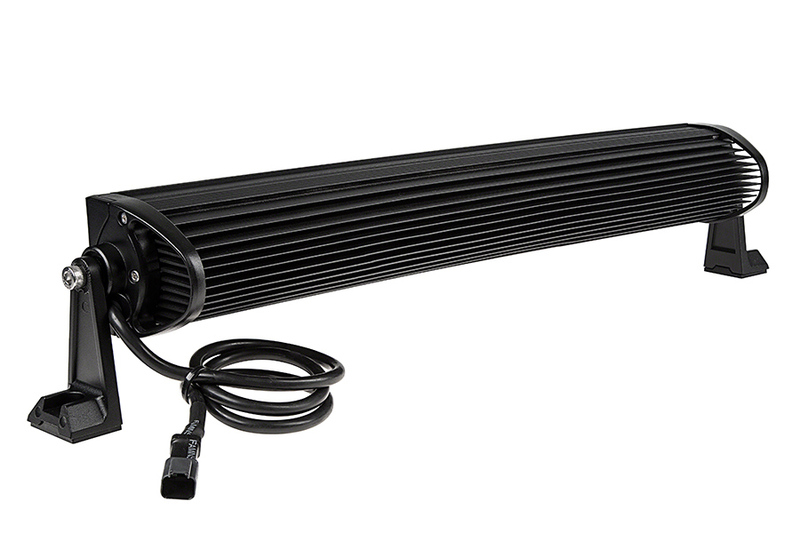 The light is adjustable on its included mounting feet and includes a 40” wire lead with a mating 13" DT pigtail adapter. 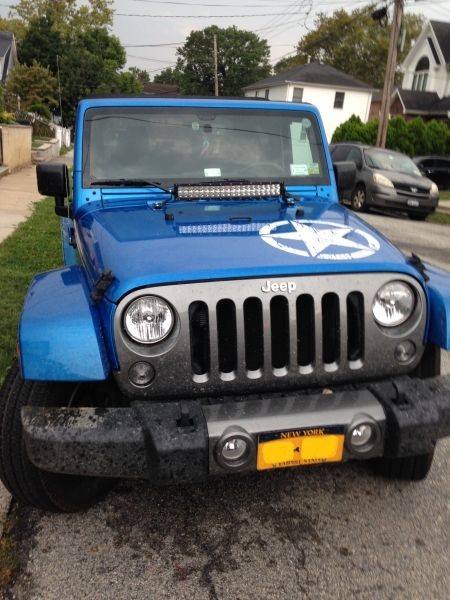 Lifetime warranty on all off-road LED light bars. Got this for the wife's Jeep along with the recommended wiring harness. 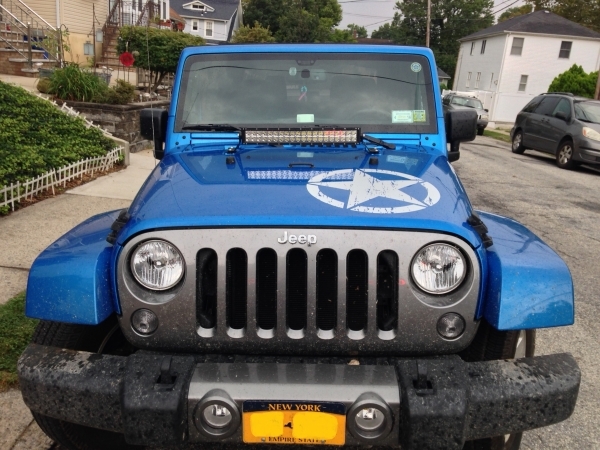 Simple two bolt install on second hand BRACKET for hood mount on Wrangler 2014. Simple wire run from light to battery to inside vehicle. Minor mod of bracket to take into account the angled bar-just a little bending. Easy drill out of switch hole inside of Jeep on switch panel (never all used up from factory!). Clicked on and BOOM! Lit up the night in front of the Wranggy like nothing before! 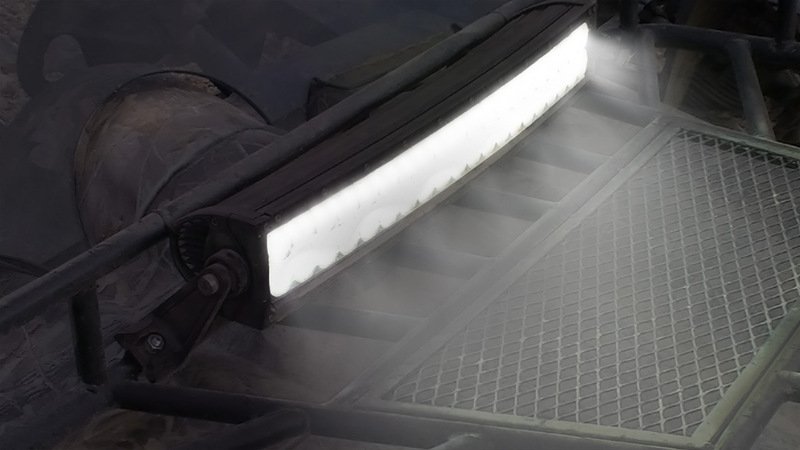 Light is bright, sturdy, MUD proof and all that other fine stuff I have come to expect from a LED light! 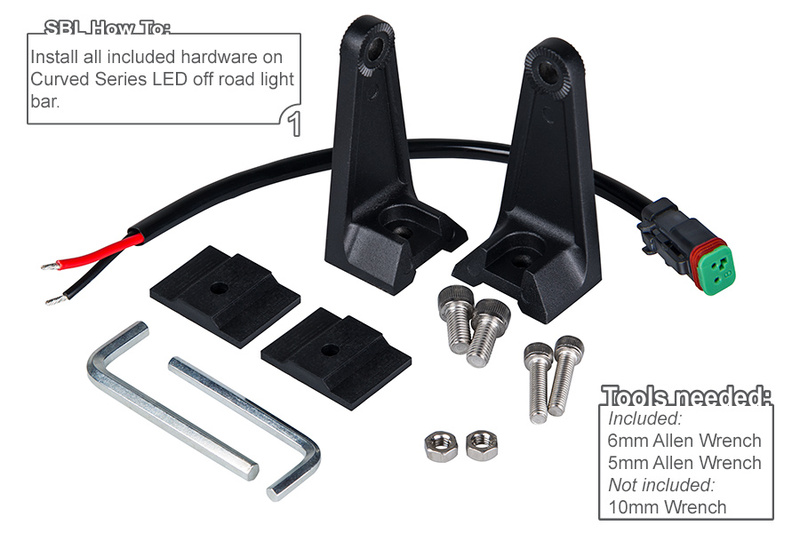 Excellent product and I am looking forward to installing more "toys" on her Jeep! Now, just gotta work on getting mine! Look forward to doing business with you again! This light is top notch! 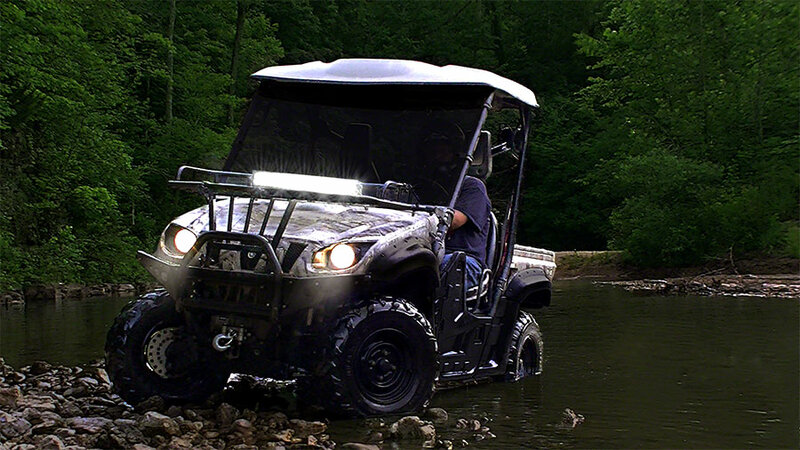 Every bit as well built as Rigid lights at half the cost. 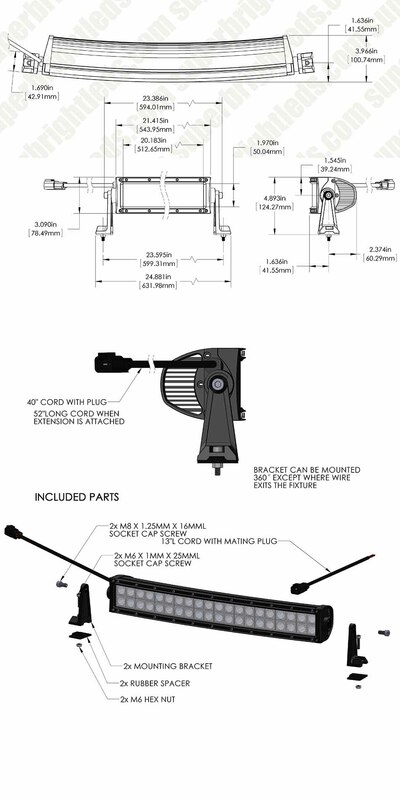 Thank you Superbright for suggesting the proper harness, having that makes install a breeze. 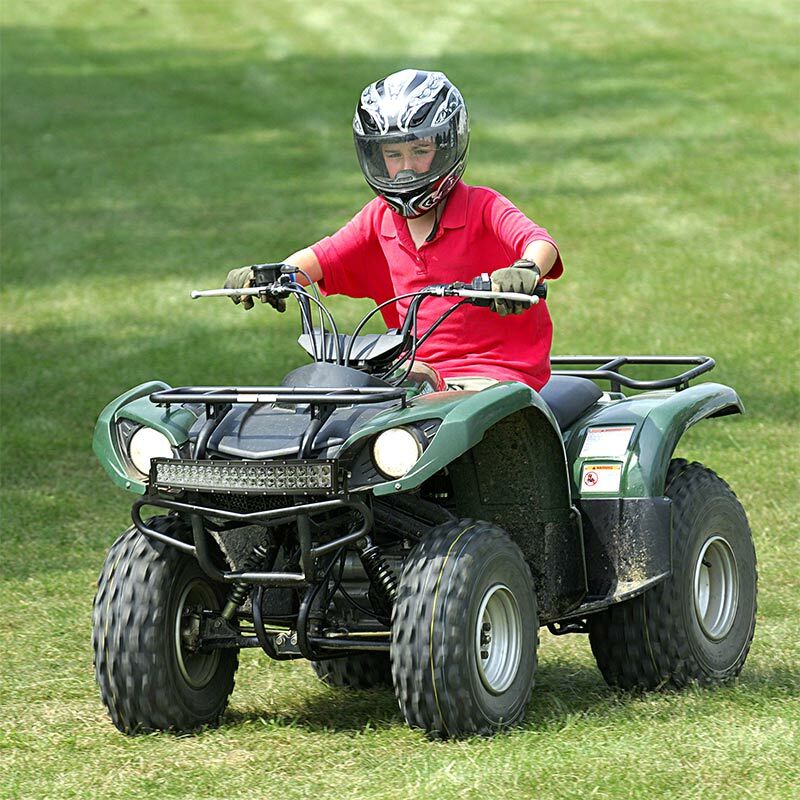 Great service, fast shipping, buy with confidence. I'm very glad I stumbled upon Superbrite!! so I can use this to see through heavy fog / snow. Ill probably be getting the 50" in the the future for a high top windshield light. I suggest you look around at other websites for similar items and then come back here... that's what I did and I have been made a loyal superbrightled buyer. 5/5 stars because of excellent price, craftsmanship and ease of install. 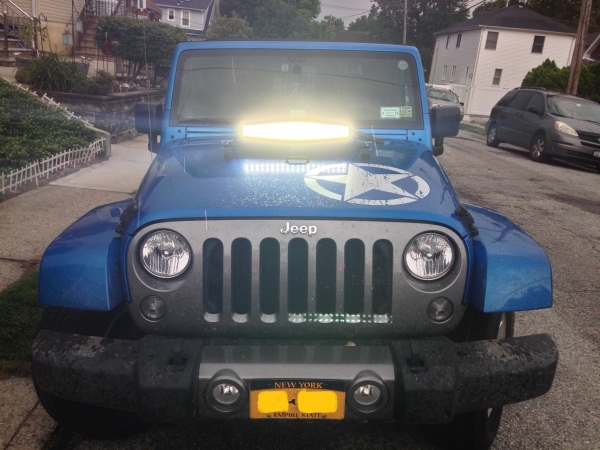 This light bar is phenomenal ! Brighter than my Hi-beams. Shines hundreds of yards. Priced right for everyone. The accessory rocker switch gets surprisingly hot. I have installed the 20" curved light bar on my 2015 F-350. Works great and looks great. Definitely lights the road ahead of you.